You don’t have to pay the costly expense of completely replacing your hardwood floors. Our hardwood floor refinishing service in Cleveland is a smart alternative that will cost a lot less and save you a lot of time and hassle. 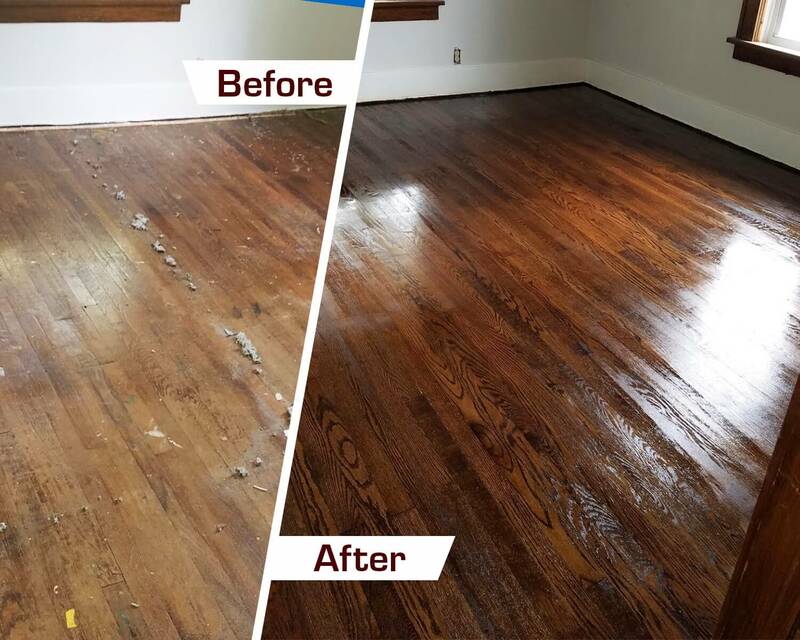 Hardwood refinishing from Fabulous Floors Cleveland is usually completed in just 1-2 days and is performed by trained professionals who will work hard in your home. 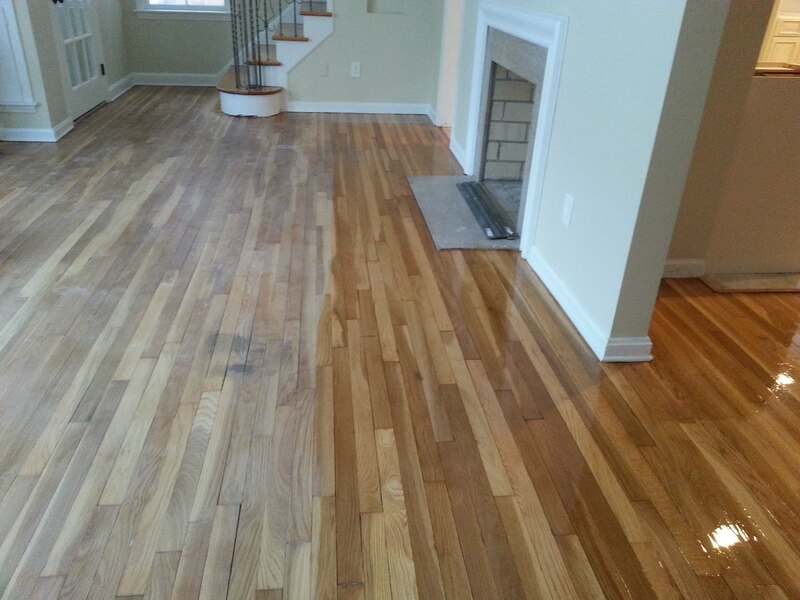 We are proud to offer top quality hardwood floor refinishing in Cleveland, OH, and the surrounding communities. Contact us today to get your free price quote right over the phone! If there is any carpet or staples remaining on your floors, we carefully remove them with needle nose pliers and a putty knife. We use a chemical solvent that is safe for you and your family. We promise to take great care to not damage your original wood floors during this process. We’ve made sure that our sanding method creates minimal dust and odor in your home. We begin with coarse grit sandpaper and repeat the process 3 times or more, using a finer grit each time. This ensures that all damage, scratches, and stains on your floors are completely removed. Our technicians will do a thorough job and will sand hard to reach places by hand where necessary. Once the sanding process is complete, your floors are ready to be stained. Fabulous Floors has a large variety of stain colors for you to choose from. You can see our most frequently used stain colors here, however, if you don’t see a color you love, we can provide additional options. We apply the stain with the grain of the wood, making sure it’s applied evenly throughout your hardwood floors. We finish by buffing the floor and cleaning away any dust or debris with a tack cloth and vacuum. Lastly, your hardwood floors are topped off with a high-quality & long-lasting polyurethane finish. We apply this coat with a mop-like tool and pad applicator. After 24 hours, your floors will be dry and ready for everyday traffic. This polyurethane finish will prevent future wear and damage, lock in your stain color, and make your hardwood floors shine for years to come! You can choose from gloss, semi-gloss and satin finishes for your floors. “Top notch quality, service, and price. I had already received 2 quotes on the job and the guys at Fabulous Floors seemed the most professional and had easy to understand pricing. They scheduled me right away and arrived on the agreed upon day and were already at work within 10 minutes of arrival. The process took 5 days and looked amazing. 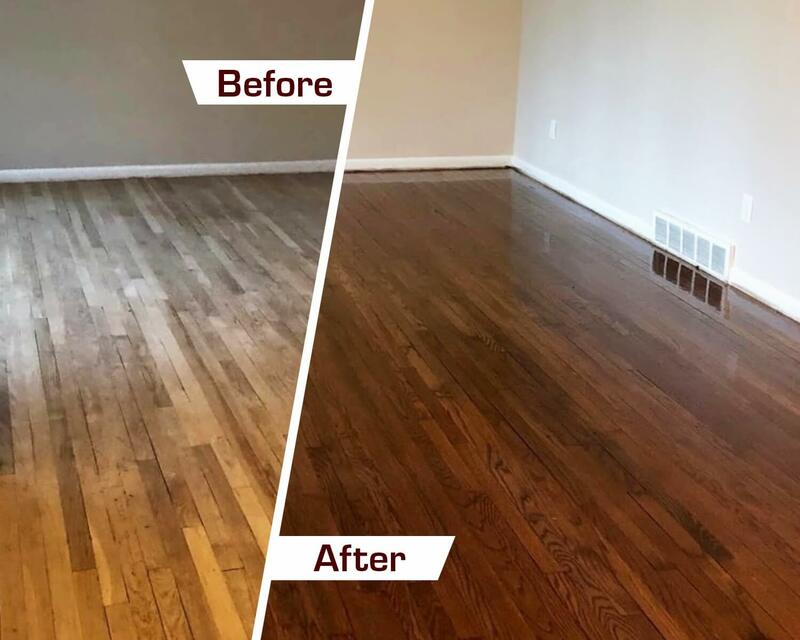 Best money I’ve ever spent on a house.” – Rod S.
Check out this video to learn how Fabulous Floors Fabulous Floors Cleveland uses their refinishing system to bring back the beauty of your hardwood floors, without the cost of getting all new floors!